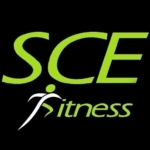 Here at SCE we race all year around the world from Spartan racing, tough mudder, terrain runs, American Ninja, Ironman/ tri’s and our local races in Spokane. We are dedicated to making each racer more efficient in every race they enter into. Racing gives each individual the opportunity to see something about themselves they never new existed. We enjoy helping through the process very specifically or depending on each client's needs. We have every rig in the Spartan Race and many of the American Ninja obstacles with elite master coaches to help guide each person through their fitness journey and also people just passing through. We have something for everyone. * All programs are individualized so there is not set descirption per each individual however, we do more relative strength, endurance and anaerobic strength training in our class with emphases on grip strength… our goals is to keep moving people toward their goals while keeping injury at bay!